It's ooey-gooey and oh so fun! 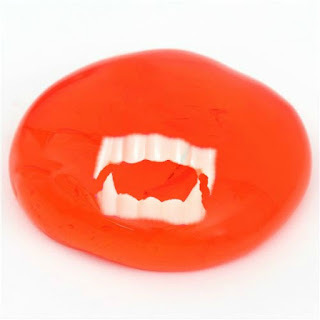 This vampire blood slime is unlike any other slime that we have made. How? Read on to see what makes it so unique. 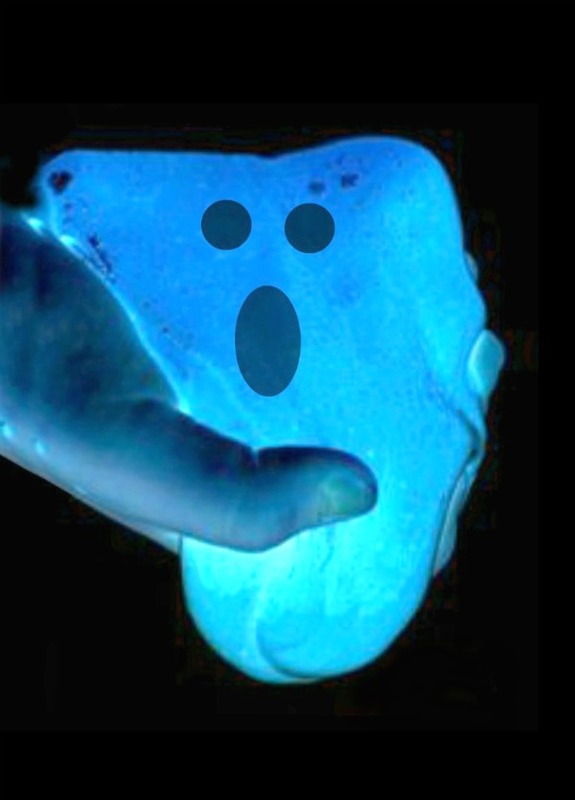 This slime is so grossly real, making it the perfect Halloween slime! 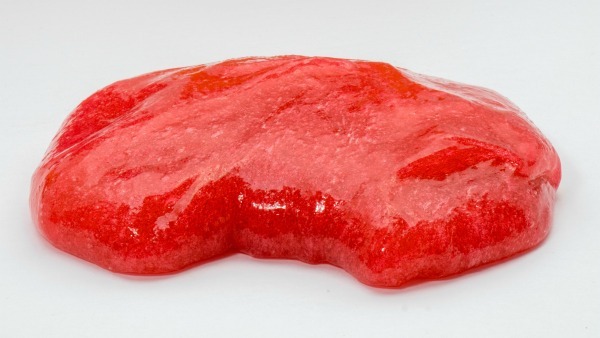 Not only does this slime look like blood, but it also WARM, adding a super fun and realistic element to play. Are you ready to make your own? Begin by warming the glue in a heat-safe bowl in the microwave. I heated our glue for 20 seconds, and that made it very warm. 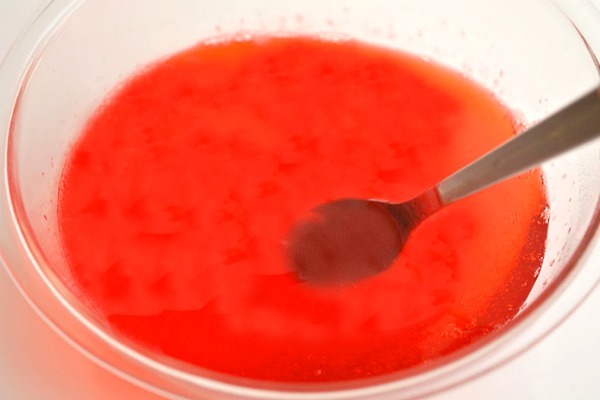 Add 15+ drops of red food coloring to the bowl of warm glue and stir. 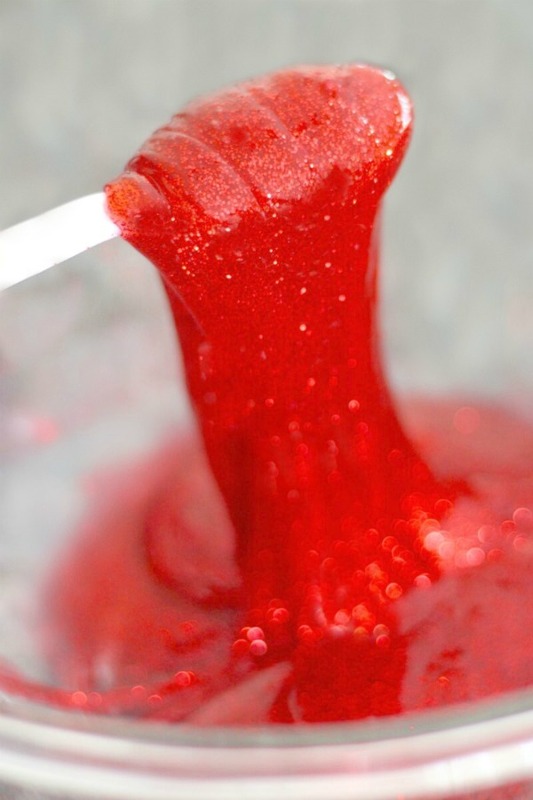 Add more food coloring and stir until the desired color is achieved. I used a lot of food coloring because I wanted vibrantly red blood slime. Quickly warm the liquid starch to the desired temperature, and then mix it into the glue in small amounts. Continue to add more starch and mix until the desired consistency is reached. 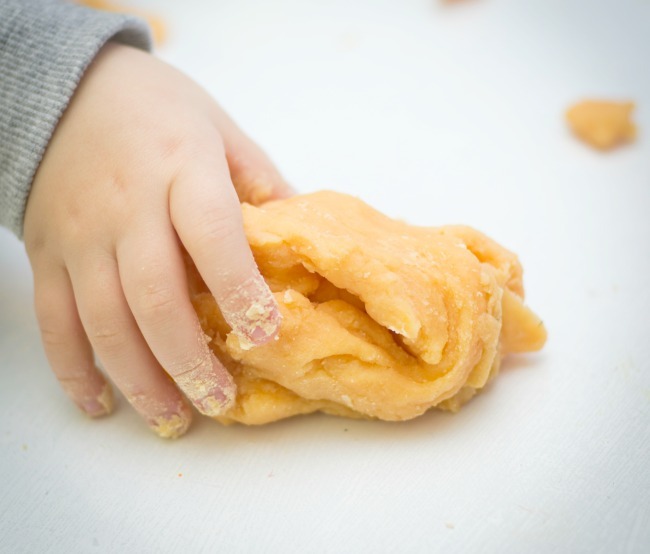 We used roughly 5 ounces of liquid starch, and that gave us the perfect slime! Note: If the slime is too sticky add a little more starch. 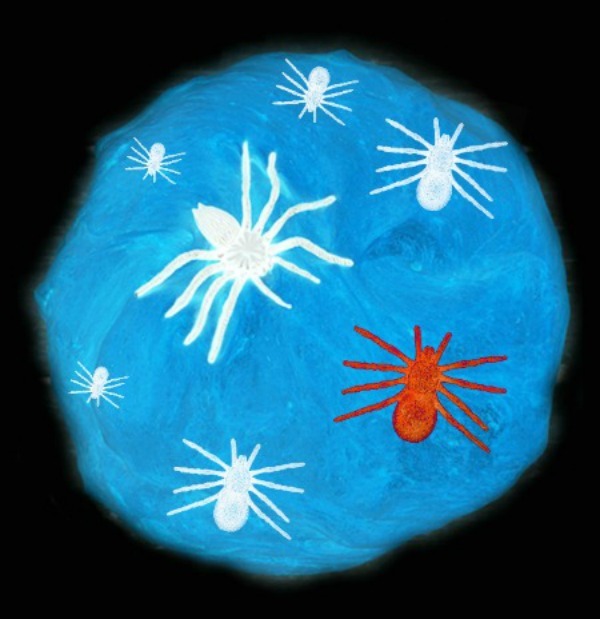 If the slime begins to break apart you may have added too much starch and may need more glue. The key is to add the starch slowly and mix until the right consistency is formed. This slime is so frightfully fun! 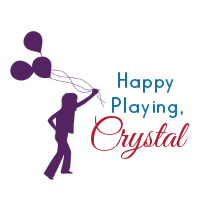 Add vampire teeth and other fun props and giggles are sure to ensue. Making the slime warm changes the consistency and texture in such a fun way! You really must give it a try to see for yourself! It's ooey and gooey and so grossly fun! Tips & Storage: Store your slime in an air-tight container between play times, and it can be used again and again! You can also warm it in the microwave each time you play! Liquid starch can be hard to find in stores. We get ours online here.